1. 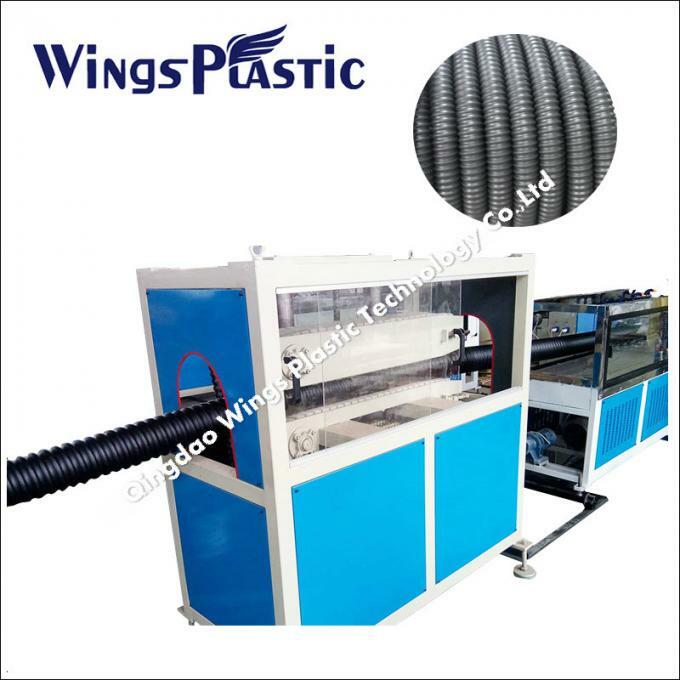 Dedicated single-screw extruder is especially used for producing polyolefin products, and the specialized separating type mix-melting screw possesses features of high-speed extrusion and plasticization, etc. 2. The pipe die head is designed in standard, and the reasonable flowing path ensures smoothness of the inside and outside walls of the pipe. The way of assembling the die head is designed according to the client’s requirement, which saves much room. 3. 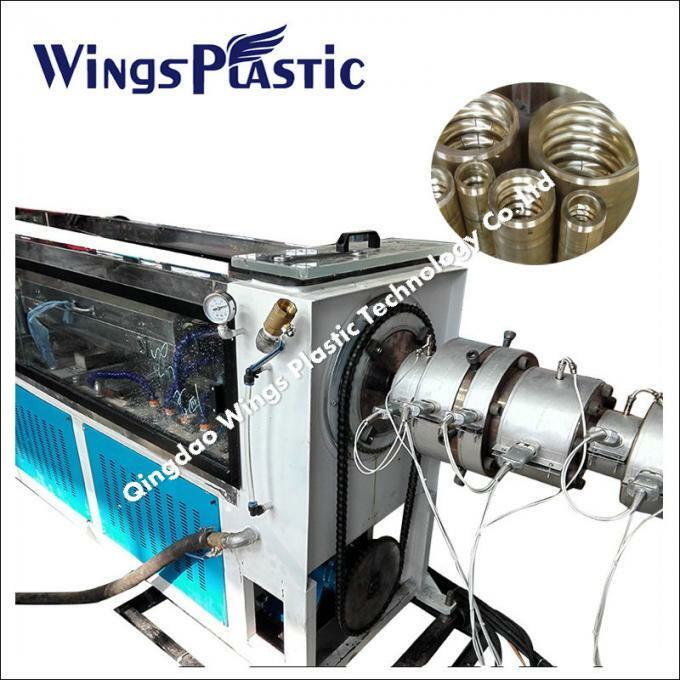 Both scientifically designed copper spiral sizing sheath and the powerful inhaling vacuum device contribute to high extrusion of the pipes. 4. The tank is made of stainless steel, and automatic controller is used to control the liquid level. 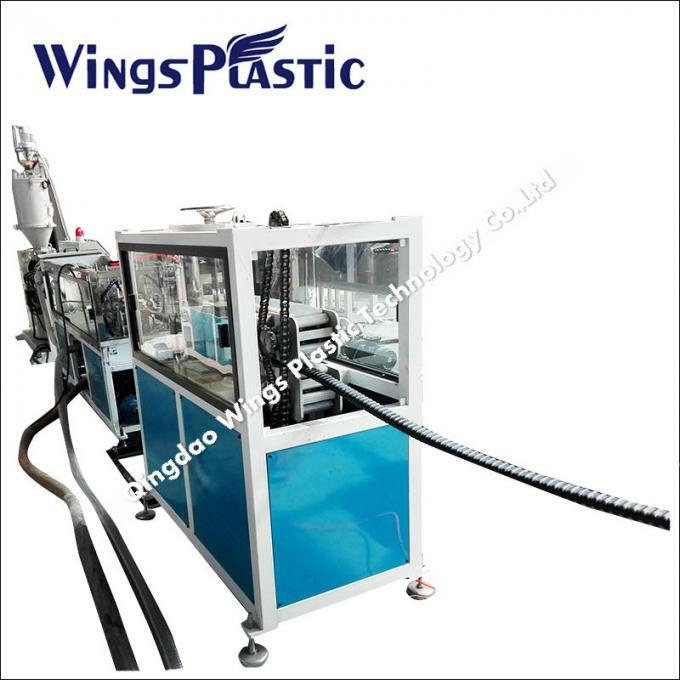 The peculiar spraying nozzle brings about effective cooling and the motor ensures longitudinal movement and three-dimensional adjustment in terms of the directions of upward, downward, left and right. 5. The special sizing and cooling mode enable the production line to produce pipes whose diameter range is from 25mm to 200mm, at a speed of 0.8to 1.5 meters per minute. 6.Stainless steel cooling water trough is three-dimensional regulation,longitudinal moved by motor. 7.High efficient cooling comes from peculiar spraying nozzle and high efficiency water pump.